Drum roll for the drumsticks, please. 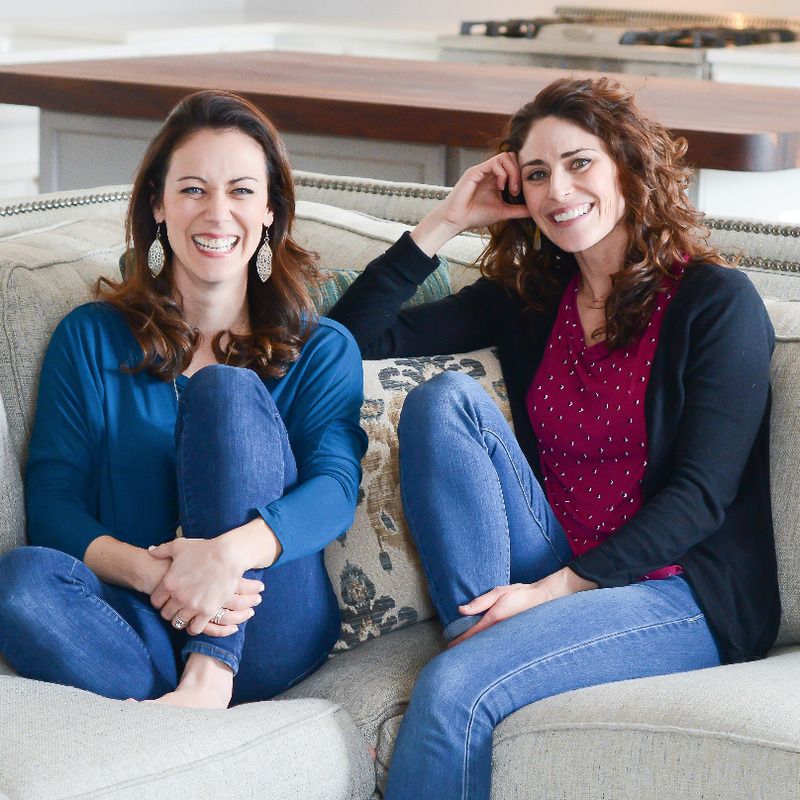 These guys rock! First off, they are cheapola. I got a couple of packages of five free-range, all-natural drumsticks for $2.66 each. 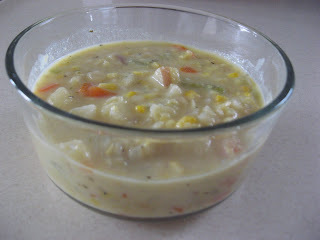 Add in that this recipe is particularly tasty, kid-friendly (not too spicy), easy to make, and healthy…and I’ve found a new recipe for the rotation. 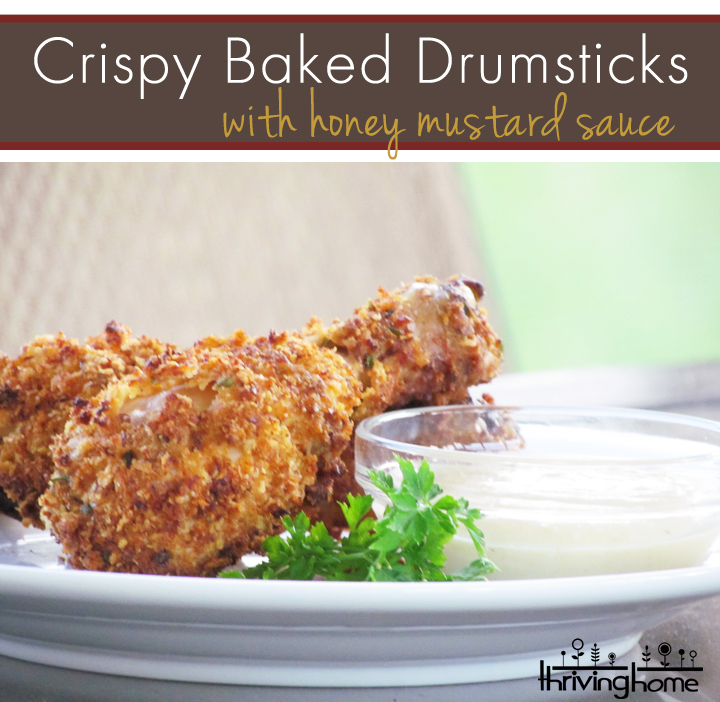 These Crispy Baked Drumsticks had the texture and taste of fried chicken without all the fat and mess of frying. What a great fake out! Included at the bottom of this post is a simple and delicious recipe for a Honey-Mustard Sauce for dipping that I also made. 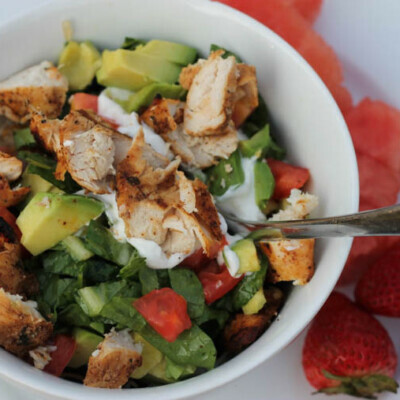 It’s also kid-friendly and adds some sweetness to the meal. These baked drumsticks have the texture and taste of fried chicken without all the fat and mess of frying. Kids love them, too! Put flour on a plate and lightly season with salt and pepper. Beat the egg, milk, and a dash of salt and pepper together in another shallow dish. Mix breadcrumbs, paprika, onion powder, salt, garlic, and pepper in the last shallow dish. Drizzle with oil and mash with a fork until the oil is thoroughly incorporated. Pat the skinless, trimmed drumsticks dry. Dredge in the flour and then in the egg mixture. Then press into the breading mixture until evenly coated on both sides. Place the chicken on the prepared rack. Discard any remaining dredging mixture. Bake the chicken until golden brown and an instant-read thermometer (inserted into the thickest part of a drumstick without touching bone) registers 165 degrees F, 25-30 minutes. Turn halfway through the cooking time. Combine yogurt, mustard, honey, and pepper in a small bowl. Serve the sauce with the drumsticks. Freeze It For Later: After breading the drumsticks, carefully lay them in a single layer in a gallon-sized freezer bag or shallow container with lid. Use parchment paper to separate layers, if needed. Seal and freeze. To Prepare From Frozen: Thaw over night in the fridge and bake according to the directions. You might have to bake them a little longer if they are really cold still. If they begin to get too browned, cover them in foil. 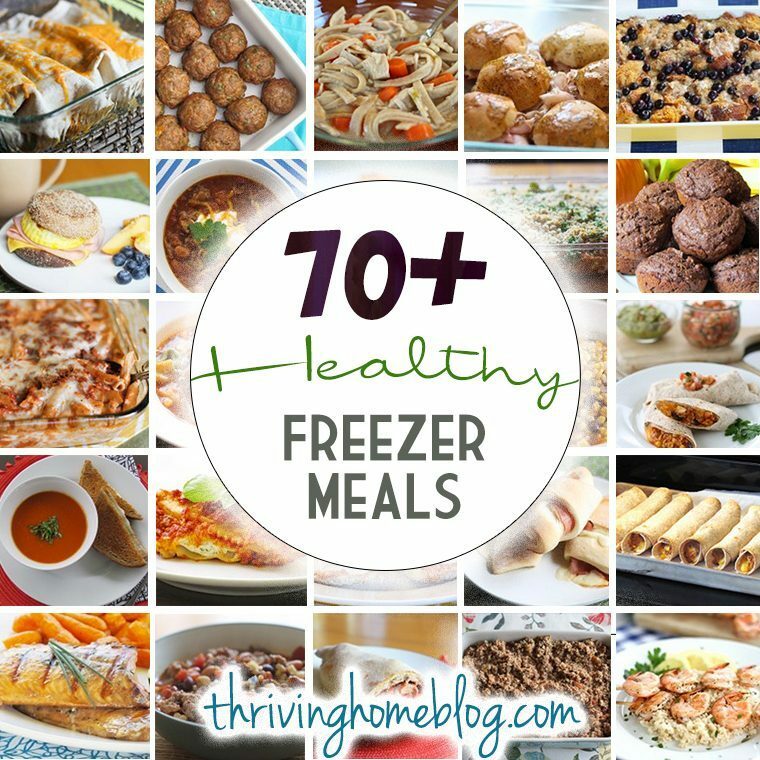 Check out our list of 70+ Healthy Freezer Meals here! These incredible drumsticks are as good as the fried version without all the added fat, great, and calories. 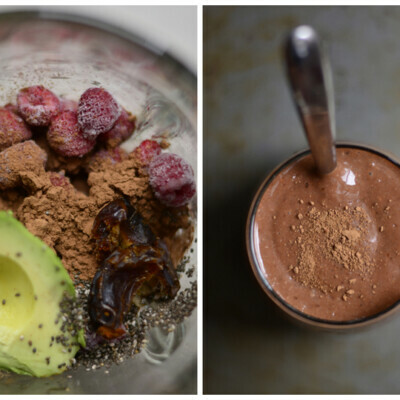 Try these and you’ll find them in your regular rotation. For Dipping Sauce: Combine yogurt, mustard, honey, and pepper in a small bowl. Serve the sauce with the drumsticks. After breading the drumsticks, spread out on a sheet pan and set in the freezer uncovered for about an hour to flash freeze them. Then, place in a freezer bag/container and freeze until ready to use. When ready to make them, lay them out in a casserole dish so they are not touching and thaw out over night in the fridge. Bake according to the directions below. You might have to bake them a little longer if they are really cold still. If they begin to get too dark, cover them in foil. Game Night: Make Your Own "Apples to Apples"
Love this recipe. I have used it many times. As an FYI: I always take the chicken skin off because I can’t stand it. This makes the breading fall off when frying or baking. I learned a trick recently and use it when making this recipe. Add 1/2 tsp of gelatin to your dry breading mixture and it binds the breading to the meat. Works great!!! Wow, thanks for the tip. I’m going to go back and try this one again soon! Oh yeah, great idea! This would be awesome. I cooked these on the gas grill tonight to avoid using the oven in this crazy heat. I put them on a pampered chef grill pan with foil under the pan and they were perfect! I’ve never thought to do that. But since I often set off the fire alarm when baking at high temps, I will definitely try this method! Thanks for the idea, Lauren! Have you ever frozen the sauce? No, I haven’t. My guess is that the yogurt won’t defrost well. But the sauce is awesome and worth making. Great recipe! They were just as crunchy and crispy as fried. The sauce was also very yummy! do you bake the chicken then freeze??? No, you will freeze this before baking. When ready to cook, thaw and bake according to the directions. I just prepared this meal and froze it. When i am ready to cook it, do i need to let the drumsticks thaw before cooking them at 475 degrees for 25 to 30 minutes? Yep, make sure they are thawed. I would put them in the fridge the night before and give them close to 24 hours to completely thaw. Hope you enjoy them! Also, keep a close eye on them so the outside doesn’t burn. My oven may be a bit different than yours. These look delicious! I can't wait to try em!